in the New York area, there is nothing that we can’t handle. 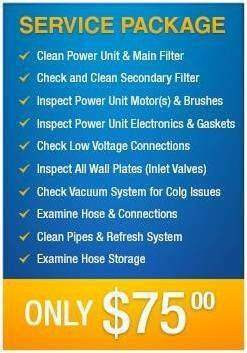 At All County, we pride ourselves in providing you with the highest quality central vacuum system at an affordable price. Our experience enables us to customize your system to fit your specific needs. We sell, service, and install a select variety of central vacuuming system manufacturers, giving us the inside knowledge of the pros and cons of the different systems sold on the market today. Increase resale value with this "Home Improvement". Conveniently placed around the house and lightweight. More advantages than a premium vacuum at the same costs. More power than a normal vacuum, up to 2 or 3 times the suction. Very quiet since the "power unit" is hidden in the garage, basement, or other tucked away space. Can be used anywhere in the house on any surface (carpet, hardwood floors, tile, linoleum, corners, stairs, and garages). Outside air circulation allows dust, odors, and allergens to be sucked out of the house, unlike normal vacuums which circulate the air in the same room. With a central vacuum system, multiple inlets are placed around your home in convenient locations chosen by you. No more electric cords stretched across the room. This whole house vacuum uses a lightweight hose and power brush easily carried about the house. Simply plug in your central vacuum hose into the wall inlet and start vacuuming! There's even an automatic dustpan option that lets you sweep debris into a wall vent using a regular broom. All of my friends insisted that I use your service when I redid my home. Boy, am I glad I listened. You were prompt and I felt I was getting an honest deal. Thanks for the great service! Thank you so much! We haven't enjoyed vacuuming as much as I do now. I dreaded emptying the bags, lugging that heavy machine up and down the stairs...my new vacuum makes the process quick and painless. It was surprisingly affordable as well. I happy and then so is my family. Thanks! My carpets just seem so much cleaner! I just love it!